On our way to work today, I received a text from my sister asking for assistance on the homework of my niece, Nina. Usually, I reply back to her with links of websites she can browse to give her ideas on what and how to complete her daughter’s homework. 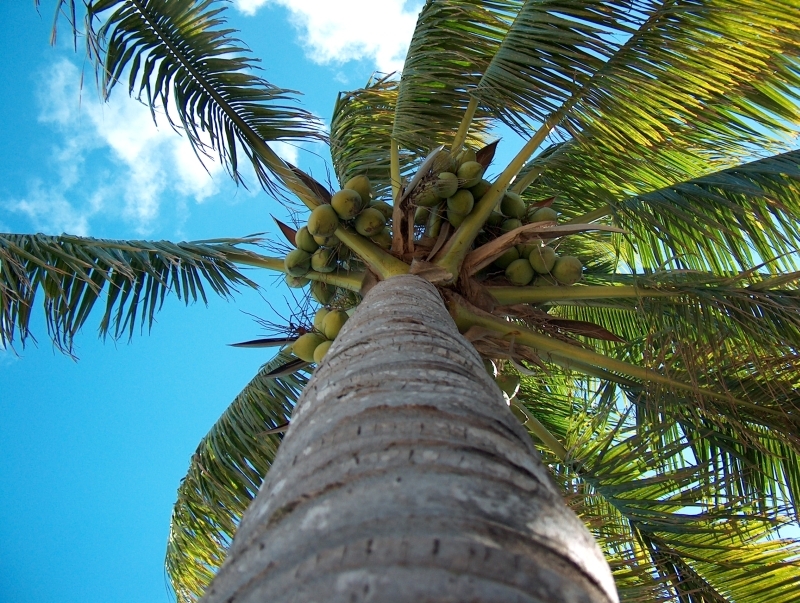 However the topic, “Why is the coconut tree called the tree of life?”, was of great interest to me. Hence, while Tashi drove us to work, I tried to remember the things I said about the coconut being the Tree of Life during the extemporaneous speech competition that I joined back in high school. I will also tell you why I lost. The coconut leaf is a good material for making hats, fans, placemats, or bags. Moreover, by weaving each frond, it can also be a thatched roof. The coconut shell or husk can be made into charcoal. Some people also shape them (husks) into wooden spoons that can either be utilized for everyday use or house décor. From the shells too come decorative buttons that adorn Hawaiian shirts. The trunk of the tree are chopped down to make benches or tables. I have also seen some places in the country where short bridges are made from coconut trunks. 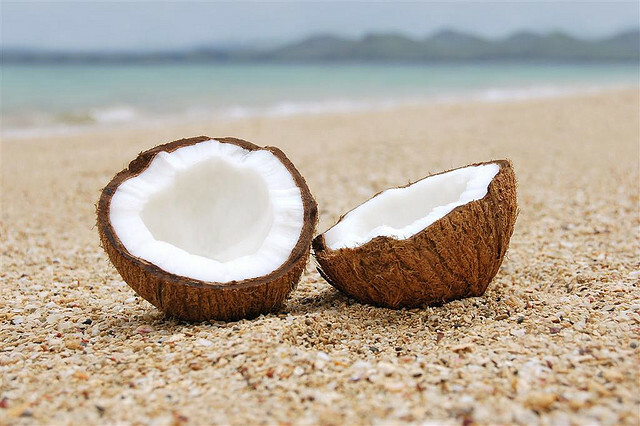 A young coconut’s meat is used as a main ingredient for a “buko” salad. This type of salad combines canned fruit cocktail and shredded white meat of the coconut mixed with whipped cream. Others use the meat to make sweet candies that we call “bukayo”. On the other hand, a grown coconut’s meat can either be grated and put in water to get coconut milk to be used for cooking, or it can also be smoked and left to dry to make copra. These (copra) is then processed as coconut oil. Aside from using the coconut oil for cooking, you can also use it on your hair to make it healthy and shiny. Copra–making is an industry in itself. 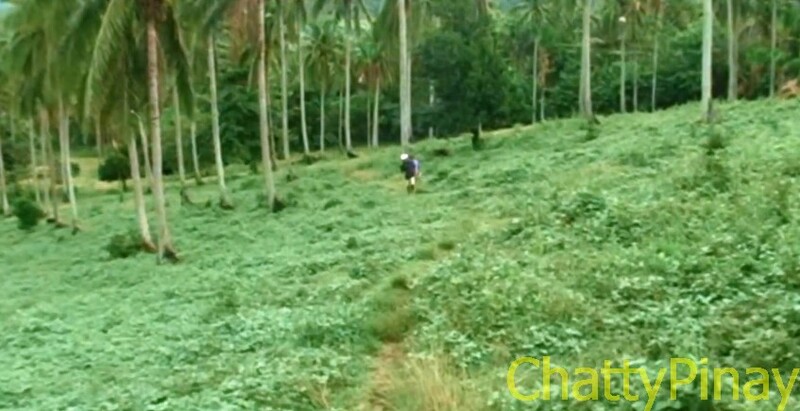 In fact, this was my grandfather’s (or my relatives’ source of income in Bicol). Copra is the raw material used in bath soaps and other beauty products that require emollients. The coconut water is highly nutritious and had long been known for its refreshing and health benefits mainly in treating urinary tract infections. Like my Uncle, you can also make your own sweet palm wine byextracting the sap of an unopened coconut bud early in the morning. Let the palm wine sit for a day and you’ll soon have your own vinegar. Distilled toddy or palm wine results to lambanog or coconut arrack. So what can be derive out of the roots? Would you believe that I’ve seen some people use coconut roots (wash them first!) as a toothbrush? Very natural, eh? Why did I not win? My final sentence was – “and lastly, the most important part of the coconut tree is the husk, known as ‘bunot’, ‘used to buff wooden floors to make them shiny and clean!” – It was a joke. I think I should have said coconut oil and went home with at least the third prize. Judges don’t like contestants to make a joke while competing. Anyway, I enjoyed helping my niece with her homework. Coconut tree is indeed a Tree of Life!